Campton is a town in Grafton County, New Hampshire, United States. The population was 3,333 at the 2010 census. Campton, which includes the villages of Blair, Campton Hollow, Lower Campton and West Campton, is home to Blair State Forest and Livermore Falls State Forest. 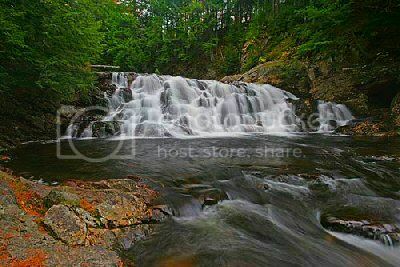 It is located in the foothills of the White Mountains, and parts of the White Mountain National Forest are in the northeast. Both Campton and adjacent Rumney were granted by Governor Benning Wentworth in 1761 to Jabez Spencer of East Haddam, Connecticut, then settled about 1765. But Captain Spencer died before terms of the charter, which required settlement by 50 families, each farming 5 acres for every 50 received, were fulfilled. In 1767, Governor John Wentworth issued the heirs and others a new grant. Campton got its name when the first proprietors built a camp here to survey the two towns. Although the surface is mountainous and ledgy, farmers found good soil for cultivation in the intervales along the rivers. By 1859, when the population was 1,439, industries included one sawmill, one gristmill, one tannery and a carriage shop. The town has three covered bridges, including Blair Bridge, which is 292 feet, 10 inches long, making it the second longest of those entirely within the state.